A die-hard Melburnian who keeps being drawn away by luscious food and drinks. Be a pal and click the 'like' link below if you enjoy my article. Until recently, my experience of dumplings had been exclusively Chinese, Japanese and English (the gloopy, floury kind). Then someone told me to try Mandoo Korean Dumplings on Bank Street in Adelaide. 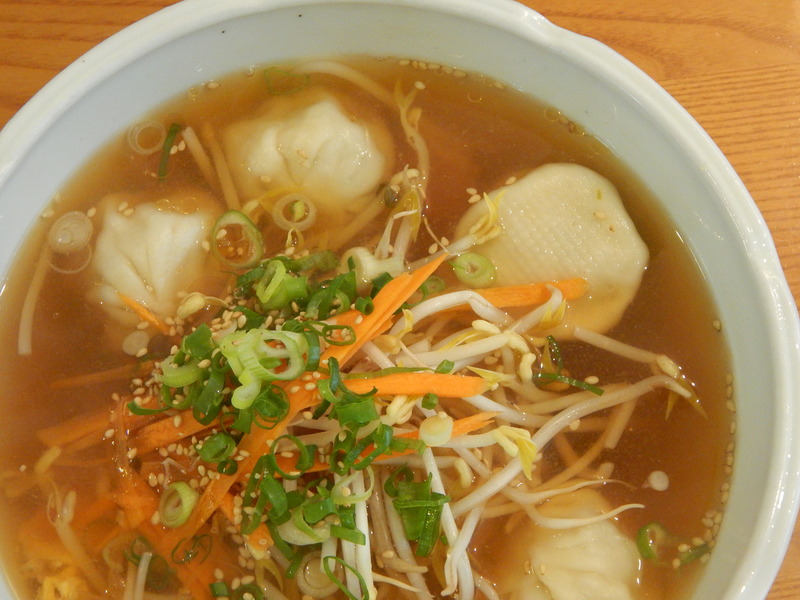 The dumpling soup of happiness. Mandoo is both the name of the restaurant and what they serve – mandu are Korean dumplings. Mandoo offers a nice selection, including pork, chicken, and an intriguing vegetarian dumpling with a base of kim chi. Dumplings can be had in soup, fried or steamed, and for a small extra fee you can get a mix. The thing about these dumplings is that they're so light. When my plate of eight came out, all lined up in two neat rows with an accompanying salad and perplexing spoon of mashed potato (I still don't know the reason for the last addition), I doubted I could eat more than half of what was on my plate. Half an hour later one lonely dumpling was left, and I still didn't feel like I'd stuffed myself. It's always comforting to be able to see your food being prepared, particularly things like noodles and dumplings. Sitting in Mandoo is a treat in that regard, with the staff preparing lovely little packages of deliciousness at the counter. Usually, dumpling preferences are a divisive issue, but at this place, all dumplings are equal. Chicken, pork or veg, fried or not fried; they're all delicious. The soup was good, but with dumplings that are that good by themselves it seems a shame to have too much of an accompaniment. Apart from the house sauce, of course, which is a sweet, salty, spicy mix with a touch of sesame oil. A basic serving. Note the sauce. Your tastebuds should prepare themselves.